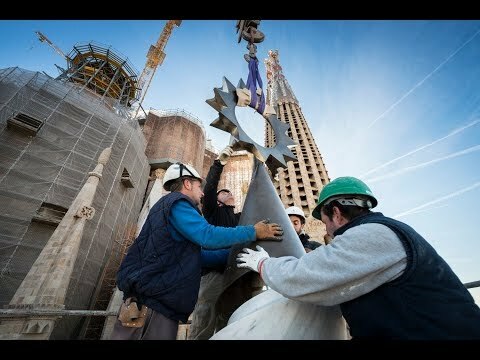 On 11 March, the Catalan Ministry of Culture declared all of Subirachs’ work at the Sagrada Família a Cultural Asset of National Interest (BCIN) in the historic monument category. 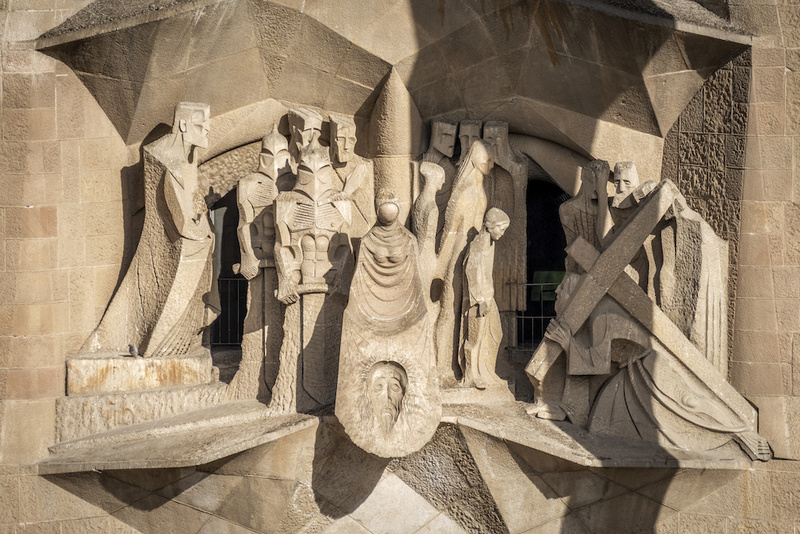 There is no doubt that, of all of Subirachs’ work on the Temple, the most well-known is that on the huge portal on the Passion façade, a group that represents the main scenes in the final days of Jesus’ life, from the Last Supper to the descent from the cross. This façade is the focus of the events the Temple is hosting to celebrate Easter week. 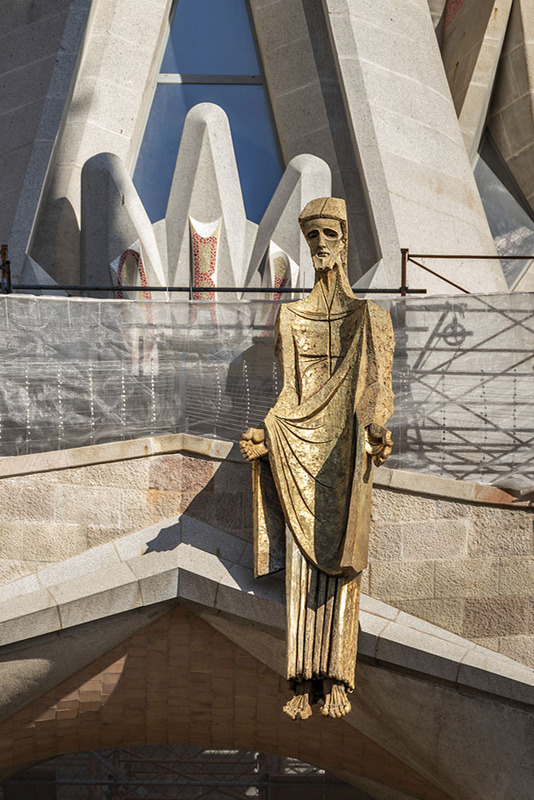 However, there are other elements of the Passion façade that are also included in this recognition, including the sculptures of the apostles that the four towers on this façade are dedicated to; the figure of the Holy Spirit that tops the narthex; and the golden Christ of the Ascension, which hangs from the bridge between the two central towers. Additionally, the BCIN recognition also includes the bronze doors Subirachs made for this façade: the ones on the sides, representing Gethsemane and the crown of thorns, and the central door with the Gospels. These doors were such a success that he was also commissioned to create the doors for the main façade (the Glory façade) and the ones dedicated to the Lord’s Prayer, which are listed as BCIN. 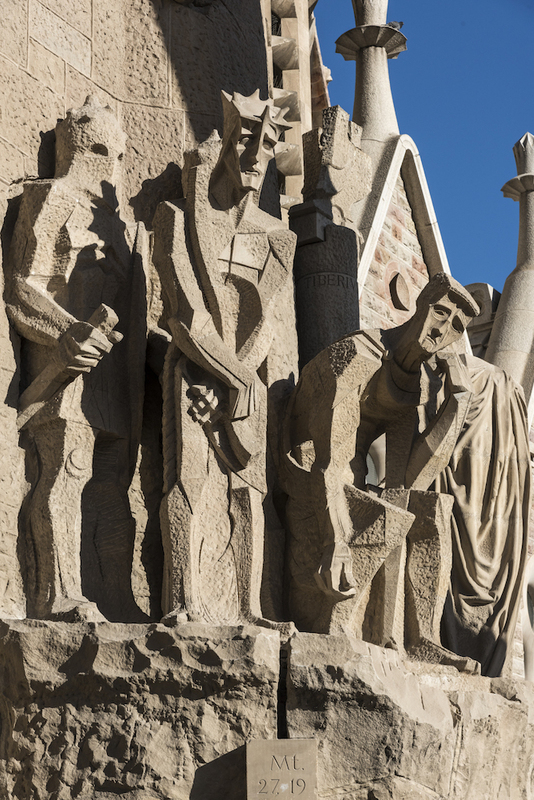 This recognition of Subirachs’ work also includes other pieces in bronze at the Temple, such as the statue of Saint George, which sits at the height of the railing on the Jube, as well as the stone semi-bust of architect Antoni Gaudí in the Sagrada Família Museum. Josep Maria Subirachs was born in Barcelona in March 1927, and this past 7 April was the fifth anniversary of his passing. 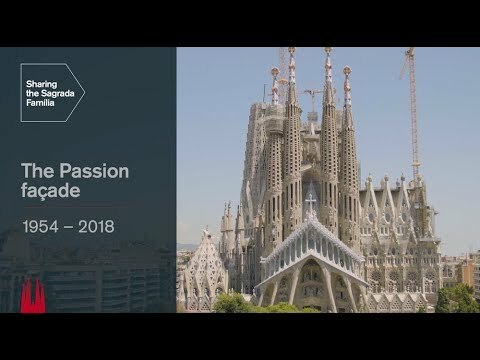 He lived in the neighbourhood of Poble Nou, where his family has recently opened a permanent exhibition, Espai Subirachs, where visitors can learn more about his long, prolific career. Subirachs has given us a wide variety of works, including paintings, engravings and set-design materials. At the Temple, his most significant legacy, as we’ve seen, is the stone and bronze sculptures. His oeuvre, truly extensive, can be found throughout Catalonia and is visible on streets, in squares, and especially at institutions. 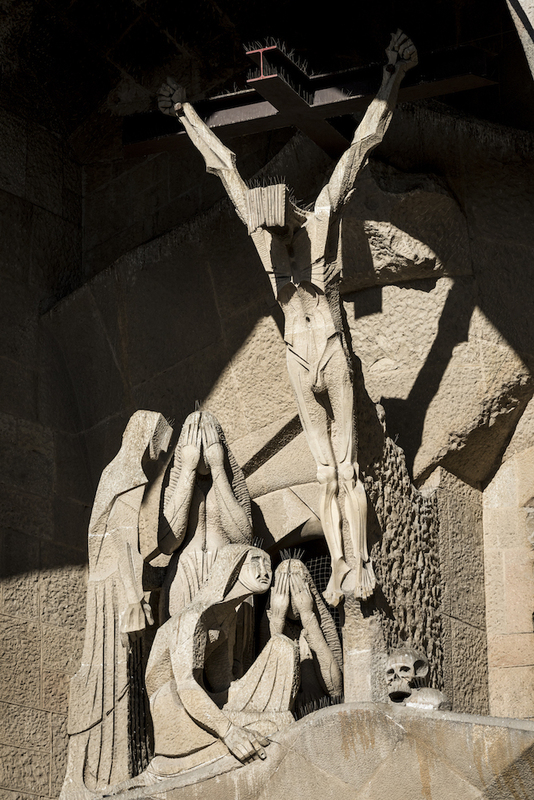 There are also pieces in several cities in the rest of Spain, including Madrid, Seville and Tenerife, and at the Santuario de la Virgen del Camino in León there is a representation of Jesus’ apostles by Subirachs that looks like a first attempt at the sculpture group he later created for the Sagrada Família. 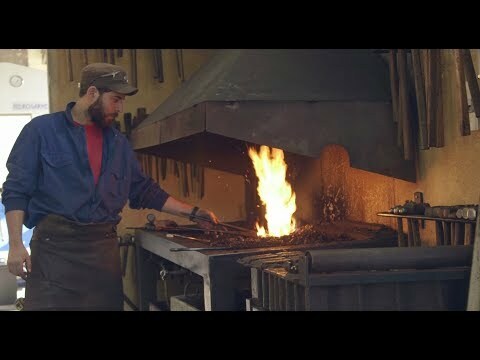 Subirachs has also had an international presence, with works located everywhere from Andorra to Korea, including Antwerp (Belgium), Lausanne (Switzerland) and San Francisco (USA). 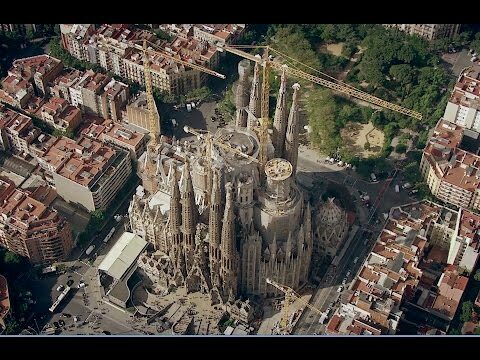 The year was 1986 when Subirachs was commissioned to work on the Sagrada Família, the emblematic work of genius architect Antoni Gaudí. And with everything he left us on the Passion façade, which has some one hundred figures sculpted in stone, he sought the dramatic effect the topic required. 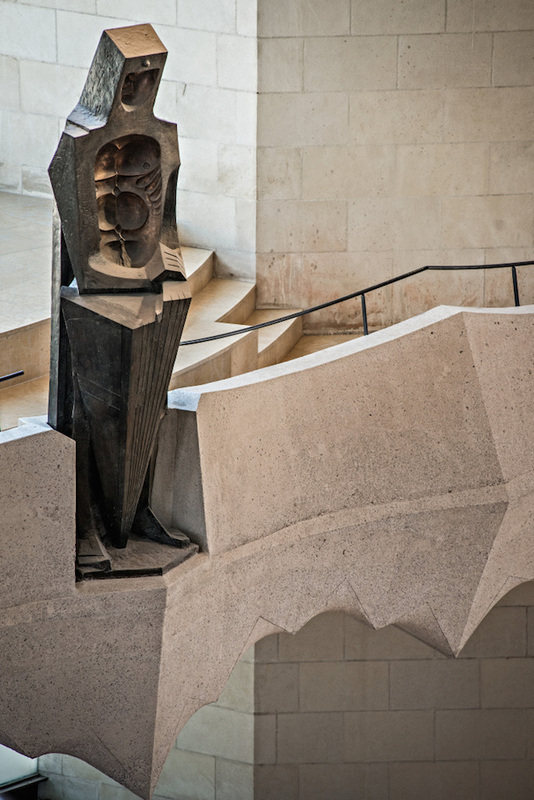 The process of having his work declared a Cultural Asset of National Interest was set in motion by the Junta Constructora with support from several figures from Catalan secular society and the fact that it has been granted gives the artist and his work the recognition they deserve.